From ‘do not lead us’ to ‘do not let us fall’ understand neither the Old Testament nor how to translate Greek. They are theological and exegetical buffoons. William Wileman [1849-1941], John Calvin: His Life, His Teaching and His Influence. London: Robert Banks & Son, c. 1900. Facing p.65. 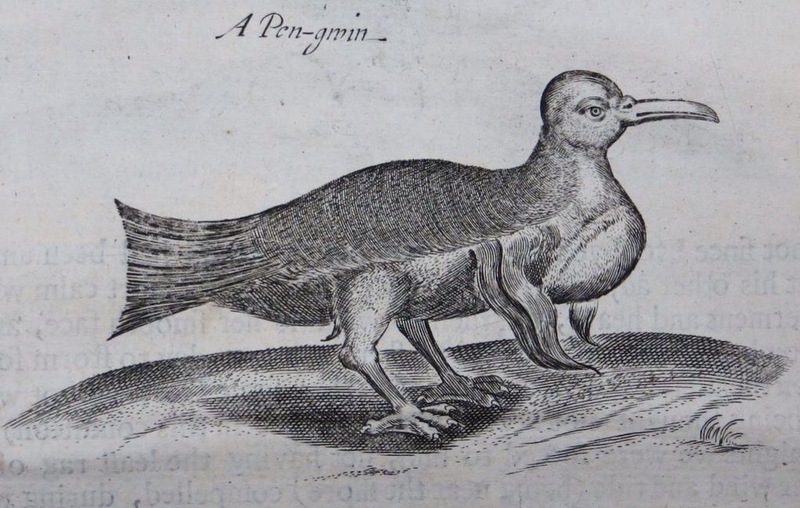 So, in 1677 a penguin was drawn by a man who had never seen one. The result looks nothing like a penguin. And that’s exactly why Hollywood and the other assorted dilettantes who blather on about it never get the Bible right. They’ve never studied it, they’ve only ever just heard bits and snippets. Consequently what they produce, and what they say, resembles the Bible as much as this drawing resembles a penguin. I guess the window blind cord needs to go talk to the NRA about how to lobby to kill.